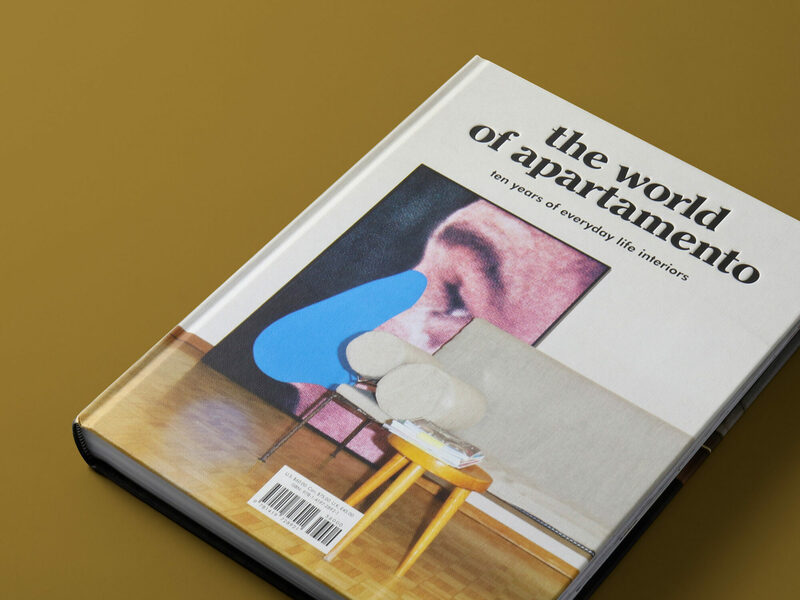 Nov 2018 Apartamento "the world's hippest magazine", celebrated their ten year anniversary with a book; The World of Apartamento. In honor of this release, MENDO had a Q&A with co-founder and designer Omar Sosa. It has been called “the world’s hippest interior magazine.” But to be honest, it feels like much more than that. 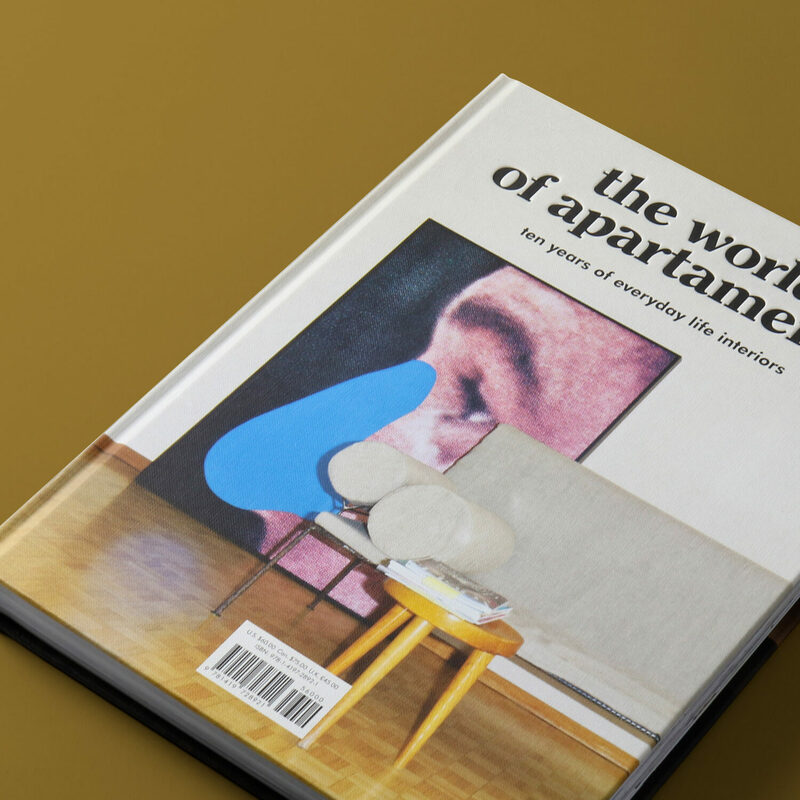 Apartamento has been one of the most unique magazines of the past decade in terms of interior and lifestyle and this year they celebrate their ten year anniversary with a book; The World of Apartamento. In honor of this release, MENDO had a little Q&A with co-founder and designer Omar Sosa. Hey Omar, congratulations on your ten-year anniversary! What has changed in those years since you started? The magazine has evolved and matured in the same way that we all have over this time. Our initial team has grown into an amazing group of more than 10 people in Barcelona and New York. Our list of contributors has grown too, and we have reached a number of countries and people we only could have dreamt of 10 years ago. We are boosting our editorial line with new titles, like the cookbooks and the architecture series. And our brand is constantly expanding through new ventures with other brands, in the form of collaborations and the provision of services with our recently founded agency, Apartamento Studios. How does one become the ‘world’s hippest interiors magazine’? That’s not for us to answer. I guess by being true to yourself and your roots and believing in good work rather than only profits. 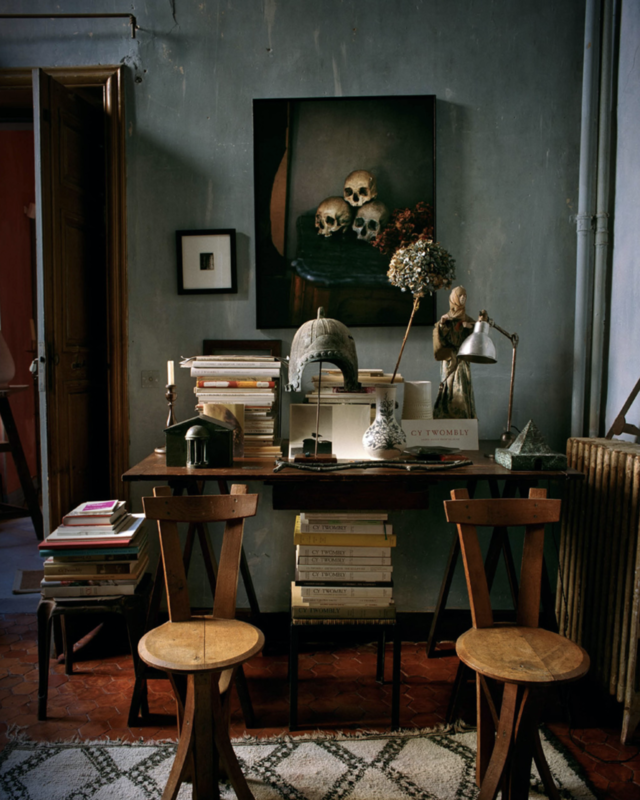 In the book, Michael Bullock wrote that Apartamento approaches interior design from an anthropological point of view. What do you think he means by that? We are interested in the inhabitant; the house is the expression of someone’s life, the shell that packages all those stories and layers of life. The space is never the focus for us; it all starts with the person. Left: Kembra Pfahler, New York City. 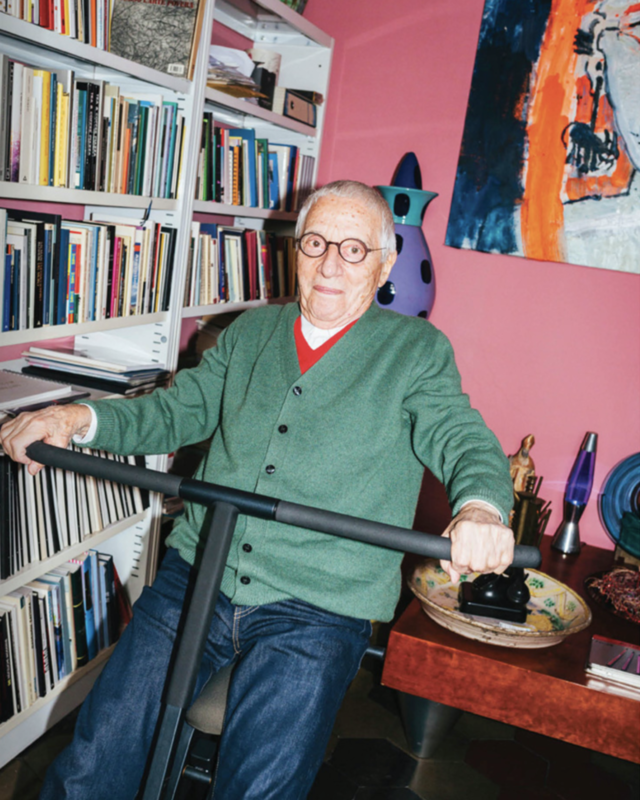 Right: Alessandro Mendini, Milan. In that light, would you consider Apartamento really to be an interiors magazine? Yes, it is, in the sense that we show interiors. But we have pushed the boundaries of what interiors magazines used to be. How would you describe the style of the magazine, and how does that show in the book? Apartamento magazine features extensive interviews with people at home in a rather compact format. This new book was never intended to be ‘the best of Apartamento’; I personally have never liked those kinds of books. They make me feel that I either came too late to the party and missed the real magazine or, if I have all the issues, they seem like a repetition. For this book we wanted a different experience of consuming content and a different way of looking at the pictures. The World of Apartamento has no long interviews and the texts are limited to small captions under each picture. We have made a hardcover book with a much bigger format than the magazine. The photographs are mostly full bleed, and unlike in the magazine they are stripped of their context. Now the images go from cover to cover and form one constant narrative that transitions from one imaginary section to another. 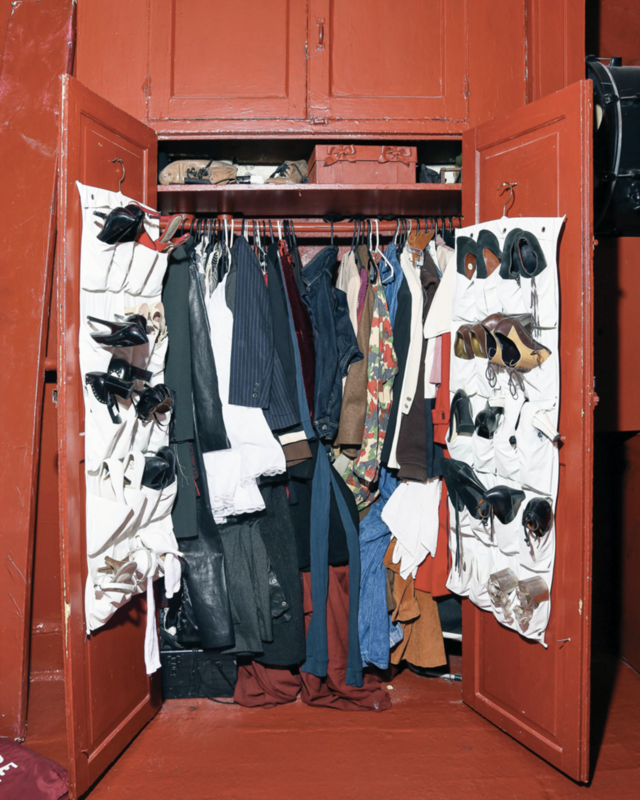 This book is closer to what a classic interiors book looks like, but instead of a singular vision or style of interior design, The World of Apartamento is made up of and photographed by around a hundred different people. It’s a celebration of diversity and inclusion unlike any other interior design book. 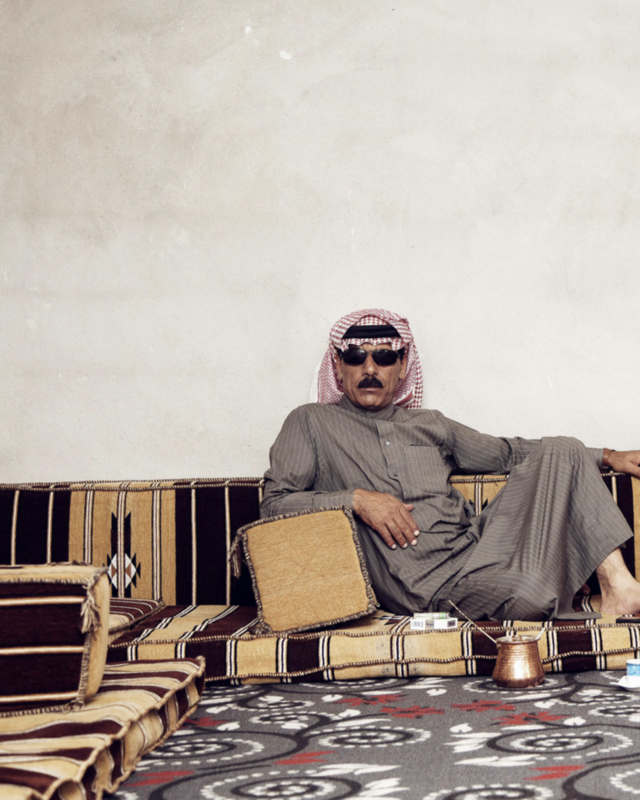 "I only listen to Björk" Omar Souleyman, Urfa. Interview by Alia Farid. Photo by Serkan Taycan. Your stories’ subjects vary from actresses, to designers, to musicians, and photographers, do you see certain interior aspects that return in particular professions? It’s difficult to generalise, as we love to feature people that contradict what you would expect from them. 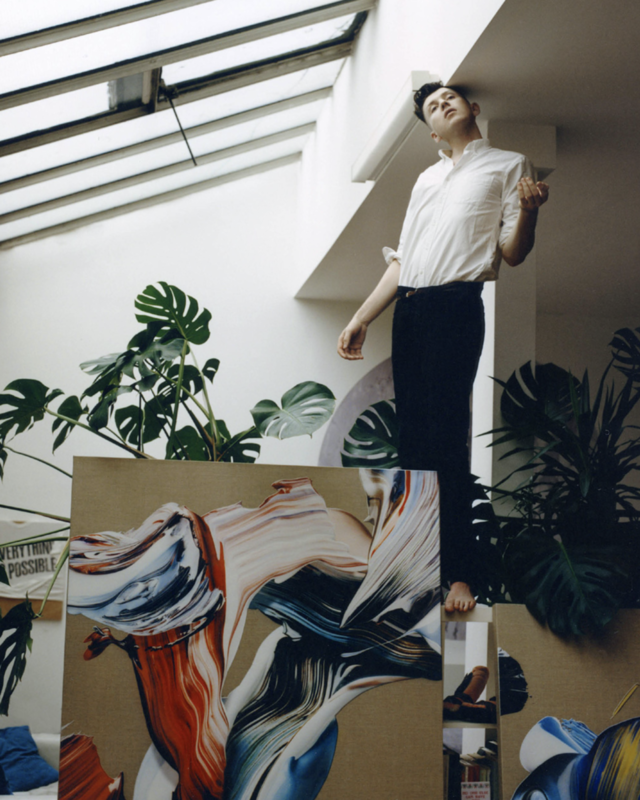 But, in general, artists are probably the messiest of all of them, together with musicians. Designers and architects have the tidiest homes, and their places have a lot of inventions and smart ways to optimise space. However, the bigger differences come with age. Old people tend to have more interesting houses as you can read through all the layers of the years that they’ve been in the space, and of course they have more stories to tell. Do you have one story that stands out for you, personally? It’s really like choosing your favourite child. It’s hard to say; my favourite stories keep changing all the time. What was the process of making this book like for you? It first took a while for my colleagues Nacho and Marco and me to figure out the right format. After we knew the type of book we wanted I went through every single picture that we had featured in the first 20 issues, and then all the unpublished images as well. After that there was a long process of editing. It was exciting and painful at the same time, as we wanted to make sure the book had the best of all this material, while also keeping a consistent narrative and including as many stories as possible, so that everyone is represented. After that there was the painstaking job of licensing each image and finding the right caption, for which Maddie, Robbie, and Laura from the office in Barcelona did a great job. That we are lucky we only have to make a book like this every 10 years! With more than 300 photographs and an eclectic mix of subjects like François Halard, Glenn O’Brien, Florence Welch, Paz de la Huerta, and more, the book is an inspiring look at individual design choices. "Sorry, we don’t sell magazines." Or do we? Here’s a list of our best books on and by magazines. On a drooly Thursday morning, MENDO's Mikel van den Boogaard had a very fun conversation about our industry with Marlene Taschen, Managing Director at (- and daughter of Benedikt) Taschen. 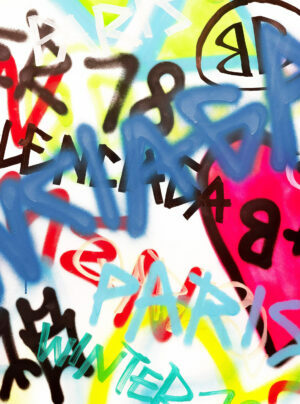 With an expo in Amsterdam, his name is on the tip of everyone’s tongue again. In our series Shelf Sessions we climb the shelves of MENDO’s friends. In this episode: Jason Denham, Creative Director and Founder at DENHAM. Shaka brah! Every summer eventually comes to an end, even this one. But to extend the summer vibes a little further, here’s a selection of our best surfing titles. We're pleased to announce that as of 2018 MENDO and teNeues, a house-hold name in the international publishing world, will be publishing books together.